As the health care industry constantly changes, those in the field in South Jersey are adapting and transforming the way they help residents in this area and beyond. From more organizations partnering together to bring programs and services to various communities, to addressing major health issues, being on the forefront of modern medicine and helping patients heal safer and quicker than ever before, the impact has been significant. 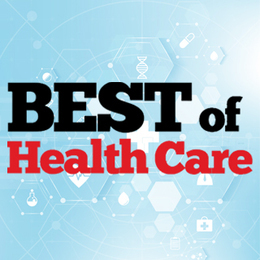 We present to you our Best of Health Care list for 2019, which features extraordinary individuals and companies who go above and beyond to make sure each and every person in this region is cared for in the best possible way. Sarkos is a highly trained orthopedic hand and wrist surgeon who specializes in treating conditions involving the delicate structures of the hand, wrist and elbow. Trained by world-renowned hand surgeon Dr. Kirk Watson, Sarkos provides treatment for hand, wrist and elbow problems such as carpal tunnel syndrome, tennis elbow, wrist pain, trigger finger, fractures, sports injuries and work injuries with exceptional outcomes. A typical day for Sarkos is spent treating patients in the office and operating room doing what he loves, followed by heading to an emergency call to save lives as a volunteer firefighter, which is why Sarkos is considered an unsung hero to his orthopedic partners, staff and fellow firefighters for the volunteer work he has done over the past several years. An internationally accredited fundraising professional, Gollapalli has more than 20 years of experience in a variety of fields, including fundraising, public broadcasting, healthcare, youth services, disabilities and education. A member of the Jefferson Health leadership team since 2014, she recently oversaw the highly successful 2019 fundraising gala that drew more than 900 supporters and raised close to$900,000 for the organization. She has played a key role in Jefferson New Jersey’s ongoing fundraising efforts, including its annual golf invitational. Gollapalli’s community involvement began as a teenager in India, when she gained a deep respect for the positive impact of philanthropy and community engagement. Prior to joining Jefferson, her career included leadership roles at Bancroft, where she over-saw development and marketing, and as regional major gifts officer for the National Alzheimer’s Association. Gillespie was welcomed as the 47th president of the New Jersey State Nurses Association this year. In this role, she will address nursing and patient care issues and work on key legislative matters, including combating the opioid crisis. As assistant vice president of orthopedic/spine service line at the Virtua Joint Replacement Institute in Marlton, she has a significant impact on the operations, strategic growth and physician alignment strategies. She has been with Virtua for 35 years, starting as a critical care nurse before moving into nursing management. She earned a BSN from The College of New Jersey and an MBA in health administration from Eastern University. Kirby is executive chairman and CEO of Cooper University Health Care, which employs more than 7,000 individuals and is New Jersey’s fifth-largest health system by revenue. She works directly with the board of trustees to provide overall strategic leadership for the health system, which includes a leading academic tertiary care hospital, a children’s hospital, the MD Anderson Cancer Center at Cooper, a physicians group of more than 650 doctors, three urgent care facilities and more than 100 outpatient facilities across South Jersey. Under Kirby’s guidance, Cooper’s revenue has grown from $823 million in 2012 when she joined, to more than $1.3 billion in 2018. She will retire June 1. Knowlton is CEO and founder of Tabula Rasa HealthCare, including CareKinesis, the first national PACE Medication Risk Mitigation Company. He has been recognized nationally for his leadership in pharmacy and business in his 30-year career. Knowlton was elected and served as the national president for the American College of Apothecaries, president of the American Pharmacists Association and president of the American Pharmacists Association Foundation. He has authored and co-authored text books, book chapters and articles focused on the role and responsibility of pharmacists in the outcomes of patient-centered medication care. As a highly skilled breast cancer surgeon, public speaker, educator and community leader, Bea is a tireless advocate for underserved populations, determined to work toward the elimination of racial disparities in health care. Bea was awarded the National Minority Quality Forum’s Top 40 Under 40 in Minority Health for her dedication to the community outreach, research and commitment to eliminating breast cancer disparities. She is the co-founder of G.L.O.S.S. (Girls Loving Ourselves Successfully) andB.O.S.S, programs focused on mentoring middle and high school girls and boys. And, along with her son Charles Bea Jr., she is the author of a children’s book published in 2018—Please Don’t Touch My Magical Hair—part of a new series aimed at building self-esteem for children of color. Jefferson Health – New Jersey was honored by the FBSJ with the “Champion Against Hunger Award” for the health care system’s commitment to fighting hunger in South Jersey. Both organizations have partnered together several times to help Jefferson’s patients and people in the community make healthier choices. Since 2012, when the organization was still Kennedy Health, food drives at its three New Jersey hospitals and various ambulatory locations collected over 12,000 pounds of food and donated more than $70,000 to the FBSJ. Over the past two years alone, 363 Jefferson Health volunteers have logged in1,043 hours of service with the FBSJ. In 2019, Jefferson Health – New Jersey is launching a new community workshop initiative: Eat Healthy, Be Active, featuring four cohorts of six-session courses in which the FBSJ is a partner and will provide cooking classes. The Virtua Pediatric Mobile Services Unit brings free health services to young children in underserved communities throughout South Jersey. It’s the latest addition to Virtua’s mobile programs, which also include a mobile farmers market and mobile mammography. Onboard the customized, brightly colored van, health care providers screen children through age 5 for developmental delays, dental problems and lead poisoning. They also offer flu vaccines, health education, community resources and referrals to specialists. The program addresses common, critical needs of South Jersey families who may not otherwise have access to such services. Launched in May 2018, the Virtua Pediatric Mobile Unit has already served more than 1,200 children at sites in Burlington, Camden and Gloucester counties. Samaritan recognizes the distinctive needs of veterans including different war experiences, traumas, and more with respectful inquiry, compassionate listening and grateful acknowledgment. These life experiences may greatly affect a veteran’s physical, psychological and spiritual comfort at the end of life. For this reason, Samaritan’s trained professionals ask about military history and reflect on individual needs and wishes for the most peaceful transition. Samaritan participates in We Honor Veterans, a program created by the National Hospice and Palliative Care Organization in collaboration with the Department of Veterans Affairs. Rowan University Engineering a Better Knee Funded with a $50,000 innovation grant from the New Jersey Health Foundation and the Nicholson Foundation, Dr. Tae Won Kim, an orthopedic surgeon at Cooper University Health Care and instructor at Cooper Medical School of Rowan University, and Dr. Shivakumar Ranganathan, a former assistant professor of mechanical engineering in the Henry M. Rowan College of Engineering at Rowan University, oversaw a team of engineering and medical students developing smart implants for bones. In Rowan’s Multiscale Materials and Design Optimization Lab in the College of Engineering, they used a 3D printer to extrude melted plastic filament to create an orthopedic implant with a built-in drug delivery system to prevent or treat infections that occur after orthopedic surgery as well as design the next generation of orthopedic implants. This groundbreaking, video game-like system is a serious but fun, high-tech tool to speed and improve functional recovery after a variety of brain and orthopedic complications. Using infrared sensors, it tracks motion in up to 25 body joints, translating that from the patient into the on-screen avatar to make rehab interactive and enjoyable to the patient. It is completely non-weight bearing, so it can be used safely on the first day of rehabilitation. Being offered to Deptford Center residents, the technology collects data to measure the patient’s progress, helping lead to improved endurance and more successful outcomes. The technology demonstrates significant improvement in physical activity performance, gait speed, patient engagement and quality of life. Lourdes Cardiology’s Heart Failure program offers a dedicated team of advanced practice nurses, cardiac rehabilitation staff, physicians, pharmacists and dietitians to create an individualized, evidence-based treatment program for patients that focuses on improving quality of life and reducing the risk of hospital readmission. The program provides both inpatient and outpatient heart failure care with advanced therapies and ongoing support. Lourdes Cardiology currently serves more than1,000 heart failure patients throughout South Jersey. Our Lady of Lourdes Medical Center and Lourdes Medical Center of Burlington County are rated five-stars in 2019 for the treatment of heart failure by Health grades and are recognized as an American Heart Association’s Get With The Guidelines-Heart Failure Bronze Quality Achievement Award winner. The Heart Institute at AtlantiCare Regional Medical Center, which includes a cardiac catheterization and rhythm center and cardiac surgery, is the only full-service cardiac program in Southeastern New Jersey. The Heart Institute offers advanced diagnosis, treatment and follow-up care for heart and vascular conditions. The state of New Jersey has designated AtlantiCare a STEMI (ST segment elevation myocardial infarctions) Receiving Center because it delivers the highest level of care for this most serious type of heart attack. The institute offers emergency catheterization with angioplasty and/or stent placement 24 hours a day, every day to stop a heart attack in progress and restore blood flow. AtlantiCare’s team includes board-certified cardiologists, cardiovascular surgeons, electrophysiologists, specialty-trained cardiac nurses, advanced-practice nurses and other specialized providers and staff. Deborah Cardiac Rehab offers state-of-the-art services to patients who have recently undergone a cardiac procedure, as well as those with ongoing cardiac conditions. Therapy equipment including upright and recumbent bicycles, treadmills, row machines, stability equipment, recumbent steppers, circuit machines and free weights are also offered. Szawlewicz also serves as assistant vice president of medical affairs, vice chair of the medical staff and director of the echocardiography lab. Board certified in internal medicine, cardiovascular disease and nuclear cardiology, Szawlewicz also has had specialty training in cardiovascular disease, nuclear testing and echocardiography, vascular and CT coronary angiography. Fidyk is currently the administrator for infusion services at Penn Medicine Cherry Hill, overseeing all operational and regulatory processes for the facility-based practices. She has been instrumental in the growth of the infusion suite through scheduling optimization, and improvement of quality, safety and the patient experience. Prior to this role, Fidyk practiced clinically for over 10 years, served as the associate director for Penn Nursing’s Health Leadership graduate program, was the Penn Neurosciences service line quality improvement director and, most recently, the Cherry Hill Infusion Services director of nursing. She holds a bachelor of science in nursing from the University of Delaware, masters of nursing in health leadership with a nursing education minor and a post-masters certificate in quality improvement and safety from Penn Nursing. RowanSOM has received accreditation from the American Council for Continuing Medical Education (ACCME) to provide continuing medical education to physicians. The accreditation is for two years in the beginning and provides the medical school with the opportunity to expand its catalog of in-person and online training programs. The ACCME accreditation allows RowanSOM to provide this essential training for both allopathic (MD) and osteopathic (DO) physicians. At the end of the two-year provisional period, Rowan-SOM will be eligible to seek full accreditation for a period of four to six years. United Methodist has a strong commitment to education for its associates and local professionals, offering associates tuition reimbursement which allows them to pursue a degree that will benefit them in the progression of their career. Soon-to-begin; CNA training classes will help those looking to begin a career in the senior living field. The homecare division, HomeWorks, pays a portion of the cost for those wishing to become a certified home health aide. The UMC online learning portal provides required and enhanced learning, keeping associates focused on the UMC mission, vision and values. Yearly training includes risk, communication and sales for specific individuals or departments. Allof these combine to ensure that United Methodist Communities remains focused on the needs of its associates and those in the greater community. A woman in a predominately male industry, Martin has been instrumental in developing one of South Jersey’s successful, independent and locally owned physical therapy companies, along with partners Erich Herkloz and Mark Muir. 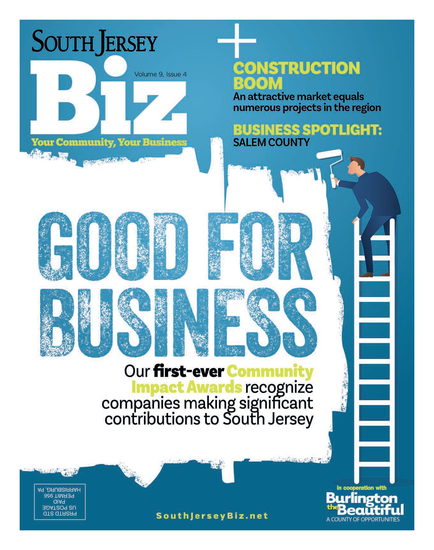 Strive Therapy was named by Inc. as one of the fastest-growing private companies in America and in2016, was also named as one of the top 10 companies in New Jersey for job creation. Martin is a member of the Rowan College of Burlington County board of trustees, along with leading the academic board for the college. In addition, she provides support for The National Association of Professional Women, Rowan College of Gloucester County Advisor PTA Program, UBS Legacy Groups Executive Women’s Council and the Deborah Hospital Foundation Board. Rothkoff and his elder care law firm have been innovators in providing legal services to seniors, as he dedicates his practice to serving clients in the areas of elder law, life care planning, asset protection, veterans’ benefits, estate planning and long-term care advocacy. Rothkoff Law Groupwas one of the first firms nationally and the first in the South Jersey and Philadelphia area to provide health care advocacy within the elder carel aw firm. He is currently a principal in a national elder care law consulting firm educating other law firms regarding health care advocacy. Rothkoff is a frequent lecturer, speaker and author for the Pennsylvania Bar Institute and the New Jersey Institute for Continuing Education, as well as nonprofit and professional organizations. Seabrook’s substance use disorder treatment and recovery program was developed by nurses specifically to embrace and treat nurses. It helps nurses take the steps they need to receive treatment, protect their career and return to safe practice, by offering an expedited evaluation and admission process, an assigned nurse recovery coordinator who maintains contact with patients throughout the whole treatment, assistance with license shielding paperwork, disability and FMLA guidance and intensive outpatient programs. Those three words embody the most ambitious capital campaign ever undertaken by Inspira Health. With the announcement of its $20 million goal in November, the capital campaign is helping to transform health care in South Jersey. Gifts to the campaign have supported the opening of a senior emergency department and new inpatient wing at Inspira Medical Center Vineland, and the campaign’s most visible impact can be seen at the construction site of the new Inspira Medical Center Mullica Hill—which will be Gloucester County’s first new hospital in nearly 45 years. The “Invest. Impact. Inspire.” campaign is also supporting development of the adjoining leading-edge cancer center, which will provide one-stop access to comprehensive oncology services. To date, almost 1,000 individuals and businesses have pledged more than $18.5 million to the campaign. All American Assisted Living at Washington Township is a new concept in assisted living. Its offerings include assisted living and memory care at an all-inclusive rate that is typically 40 percent more affordable than other assisted living facilities. Its affordable person centered model fosters independence and includes many amenities without compromising on service offerings, and it fosters a care and wellness plan that is individualized and designed to help each resident be the best version of themselves. With an anticipated investment of more than $30 million, the aging facility is being transformed into the modernized Salem Medical Center while being returned to the community as a nonprofit provider of health care. Salem Medical Center will now undergo renovations to a substantial portion of the existing hospital facility, and by further strengthening and expanding existing relationships with other top class health care providers, consolidate and grow certain medical programs. All of the plans have been designed with the input of key stakeholders, including medical staff and existing hospital leadership, to retain and expand the delivery of quality health care services in Salem County, while being good neighbors by helping to drive economic stability through job creation, tax growth and future investment.